As well as teaching you all the fundamental movements and principles essential to the Pilates Method, your Pilates teacher uses mental imagery to develop brain and body synergy. Learn the basic series of exercises which bring awareness to your posture, breathing and movement. Suitable for all levels, this blended class introduces Pilates and combines stretching. From standing to the Pilates mat, the explanations are coordinated with the movements which flow rhythmically from one to another. The ring, foam roller, resistant band, mini ball, stability ball. Let’s have fun! 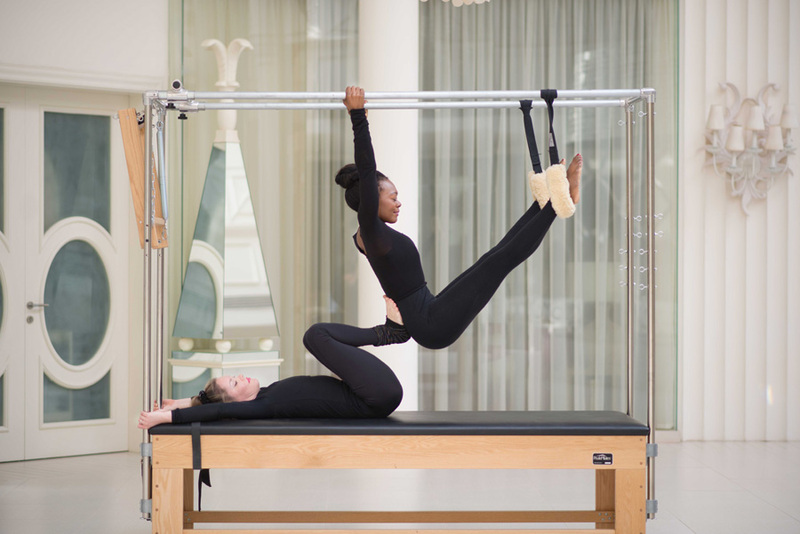 Still within the format of a traditional Pilates Mat class, we explore and expand classic exercises. The pace is a little quicker so remember to stay true to the Principles of Pilates to gain the best from this class. This class is suitable for those who are experienced in Pilates and also have a clear understanding of the Principles of Pilates. Consistently paying attention to your technique, you will move on to more challenging exercises. Weighing less than 4lbs, the versatility of the Pilates Arc is packed with power. Add variety to your Pilates Mat class, with challenging new exercises which deepen your Pilates practice. From laying to sitting to kneeling to standing, the Pilates Reformer is the most versatile piece of equipment Joseph Pilates invented. Your Pilates teacher will guide you through a Reformer workout that integrates core control, correct breathing and proper alignment. Hit the entire body with this fabulous workout! Featuring classic Pilates exercises plus original exercises created for the Pilates Springboard. Performing exercises using the Push Thru Bar brings a completely new feeling to your Pilates equipment practice. Testing strength, control and coordination, you begin to venture into that place of ease, fluidity and lightness.